Twelve more episodes of "Black Mirror" are on the way. Netflix said Friday that it has commissioned a full season of the British anthology series about the ill effects of technology on society. There's no word on when the new episodes will premiere. But Charlie Brooker, the writer of the series, has already started working on them. The franchise -- which tells self-contained stories about techno-paranoia -- debuted on a British broadcaster in 2011. Only a handful of episodes have been produced. But each one of them have been a big hit on Netflix. Brooker said the streaming service is the "most fitting platform imaginable" for the new season. 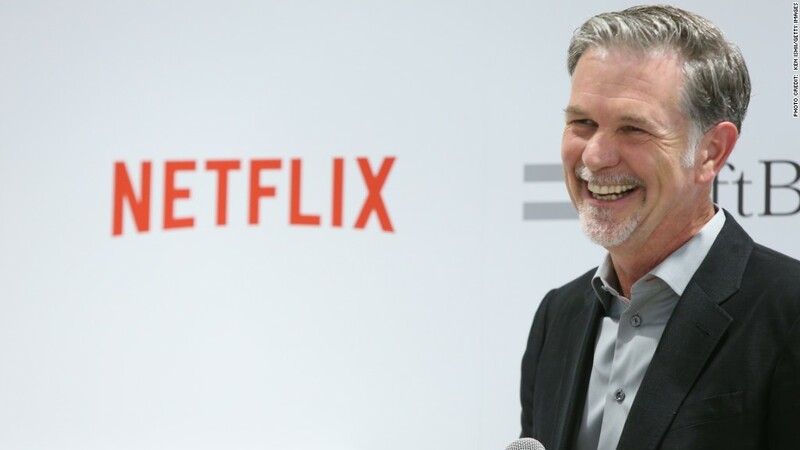 "Netflix connects us with a global audience so that we can create bigger, stranger, more international and diverse stories than before, whilst maintaining that 'Black Mirror' feel," he said in a statement. There were hints about this possibility back in January, when Charlie Corwin, one of the executives involved with "Black Mirror," said the show was ripe for an American adaptation. Instead, the new season will be produced for worldwide distribution on Netflix (NFLX). Brooker and executive producer Annabel Jones will continue to run the show in its new streaming iteration. Back in January, Corwin praised the pair for the series, saying they "have touched on something that hasn't been seen since a show like 'The Twilight Zone.'"